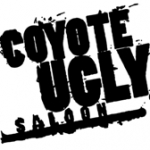 The Coyote Ugly legend began with a girl, a dream, and a little bit of Wild Turkey. In 1992, Liliana “Lil” Lovell, a 24-year-old Wall Street apprentice-turned-bartender was living a good life. She was doing a job she loved, making money, and gaining notoriety for her antics on the bar as well as behind it.